Spiritual warfare: Big hoax or get ready for some demon hunting? Among all the unpopular sections of the New Testament, this verse sits near the top. How can a pastor, who is following Jesus, tell women, children, and slaves to be submissive? And how can this possibly be good, liberating news today, not just for some people, but for everyone? So let’s do it: Let’s talk about submission! Carrying on with the “rules” section of Ephesians we get to… fornication? This will be interesting. What does Paul’s letter to the Ephesians have in common with 38 planes carrying 7,000 people forced to land in Newfoundland on September 11, 2001? This is the part of Ephesians most young people don’t like. Paul shifts from grand, sweeping statements about inclusion and justice into what sounds like (gasp!) RULES! What is God saying to us through this section? And what does it look like to read these as more than moral management. Reflections on full time ministry and at least one really gross story. Pastor Jill preaches on Ephesians 3:14-21. Why do you put someone in prison? To shut them up. What does the good news of Jesus say to an age of marching, protest, and disagreement? Dave dug into Paul's prayer in Ephesians 1:15-23 by exploring four words: hope, power, culture, and the Church. 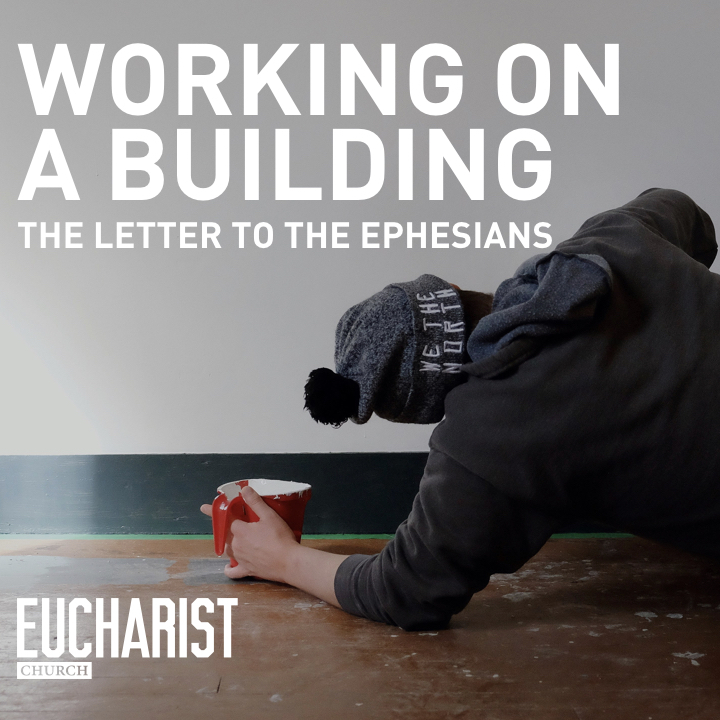 He summarized "the building work" Paul is up to like this: We pray that God would deepen and enrich the quality of our hope so that his power can flow in and through us as we live in a culture that resists and distracts us from living into the reality of being Christ’s body. Pastor Kevin starts off our summer sermon series with too many Lion King references. Our friend and prayer-partner Jill Weber stopped by to give us a final, encouraging word.